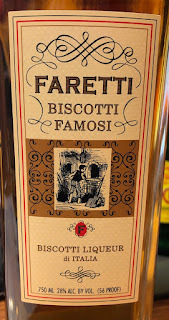 Hailing from Northern Italy, this tawny-orange liqueur is based on biscotti cookies. It has a remarkable pastry-like quality, from the rich roasted-almond aroma to the sweet, syrupy, almond-paste flavor flecked with fennel. Use to sweeten coffee, tiki drinks in place of orgeat syrup, or to add flavor to baked goods.